My friend Stephanie over at Bee Tree Studios has a great little release for the July Scrappy Bee Honey Pot. The Honey Pot packs are just $1 for the first 7 days, so check them out! Americana is Bee Tree Studios' contribution, and you can find the papers here, and the elements here. You can also grab a FREE coordinating alpha pack by visiting Stephanie's blog. Here's the page I created using Americana. I thought it would be fun to use some photos from our 4th a couple of years ago, when Austin was just 1 year old. 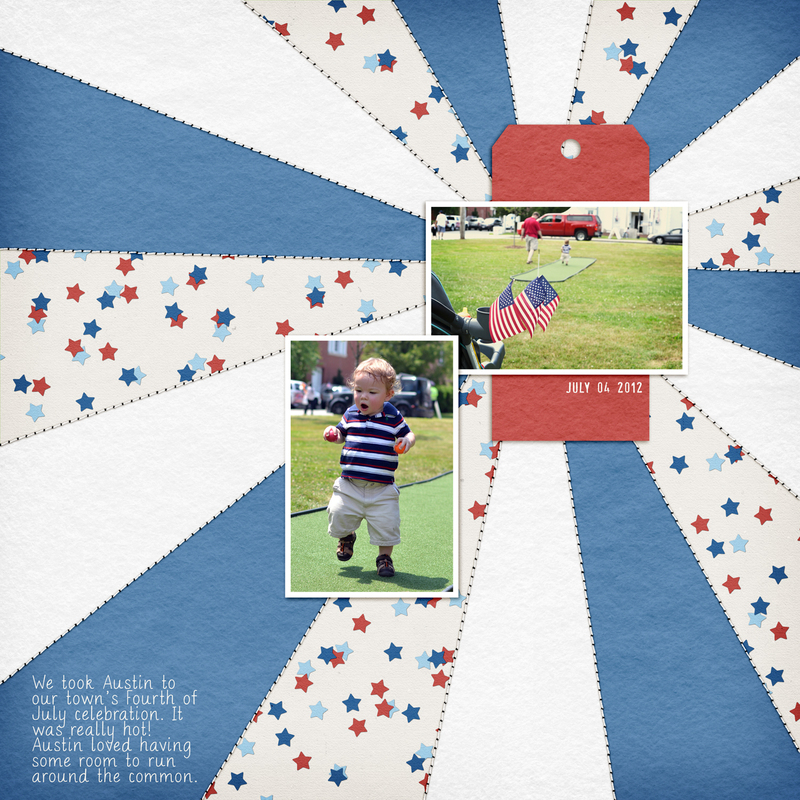 The template I used for this page is from Gennifer Bursett over at Pixels & Company. Go check out the Americana kit! It's perfectly in time for the upcoming 4th of July holiday.